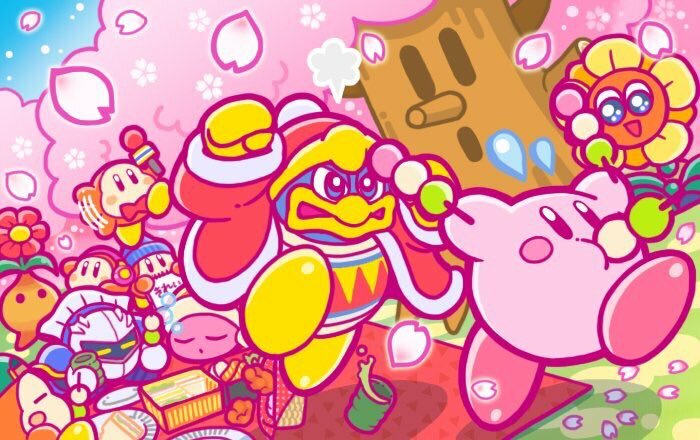 Bandai Namco has revealed a new sugary treat for Kirby fans. 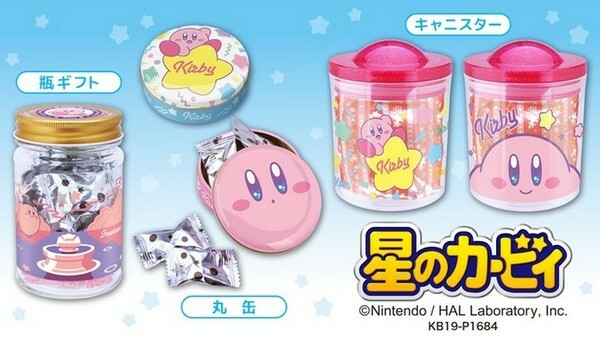 The company will be putting a new set of Kirby treats in Japan on April 23rd, 2019, with each priced at 324 Yen. There's a Kirby design with 6 different faces, as well as a warp star. Check out more pics of the candy here. So many great lottery goodies! 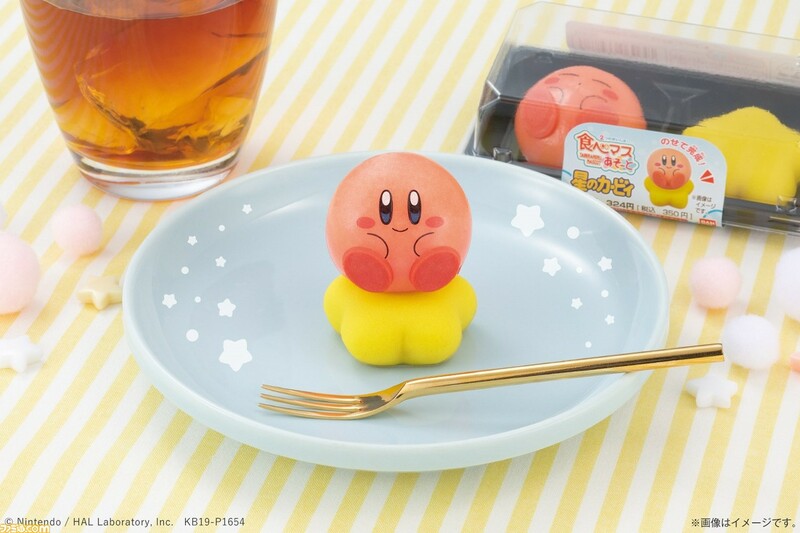 The Kirby Gourmet Deluxe Lottery kicks off at Lawson and HMV locations in Japan on April 26th, 2019. There are all kinds of fancy goodies up for grabs, and the lottery will be your only way to get your hands on some of them. Best of luck to anyone who enters! Lawson, a convenience store chain in Japan, has revealed a new line of Kirby merch. 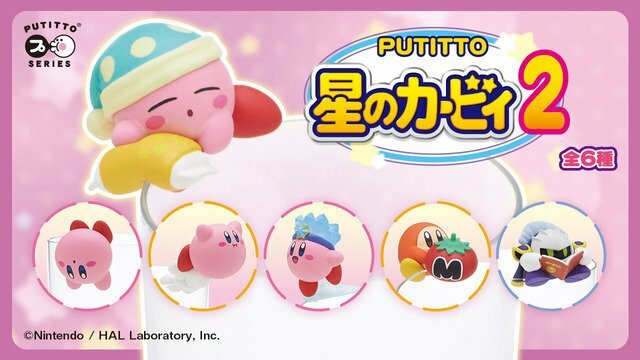 The Kirby Pupupu Face merchandise releases on April 26th, 2019, and includes the following. These images appear to be early pieces of concept art for Void Termina, a character in Kirby Star Allies. It appears that this character underwent many drastic design changes; at one point, he was going to have a wolf head! 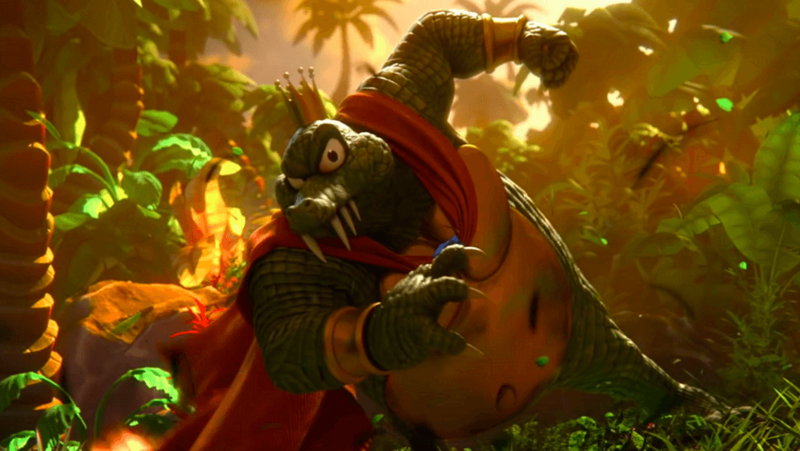 Fortunately, the version we got now is charming, and it is cool to see how much the character has changed in development. While many Switch owners are aware of the wonderful platformer Celeste, some may not know the game got its start back in 2015. The original project was also called Celeste, but it was a paired-down experience that could be beaten in about a half hour. Still, it was an experiment that paved the way for Celeste on Switch, and that goes to show how important it was! There are still plenty of fans out there who love the original Celeste, and where there's fans, there's modders. A group of modders called Ex.ult Videotainment have put together their own unique spin on Celeste that they've dubbed Ingeste. The name ties in with the game's new main character, which is none other than Kirby! Kirby's skills make the game a lot easier to play, but the overall experience is still quite enjoyable. Check out Ingeste for free here! A second wave of Kirby PUTITTO figurines will see release in Japan on April 26th, 2019. This figurines are meant to attach to mugs, spoons, tables, and more. This second series includes the following figurines. The Kirby Cafe must be doing pretty damn well, because the closing date has just been pushed back by a considerable amount. The original plan was to close up shop in June 2019, but Nintendo has announced that the Cafe will remain open until sometime in Sept. 2019. As of June 11th, 2019, the Kirby Cafe is going to transform into the Kirby Cafe Summer! 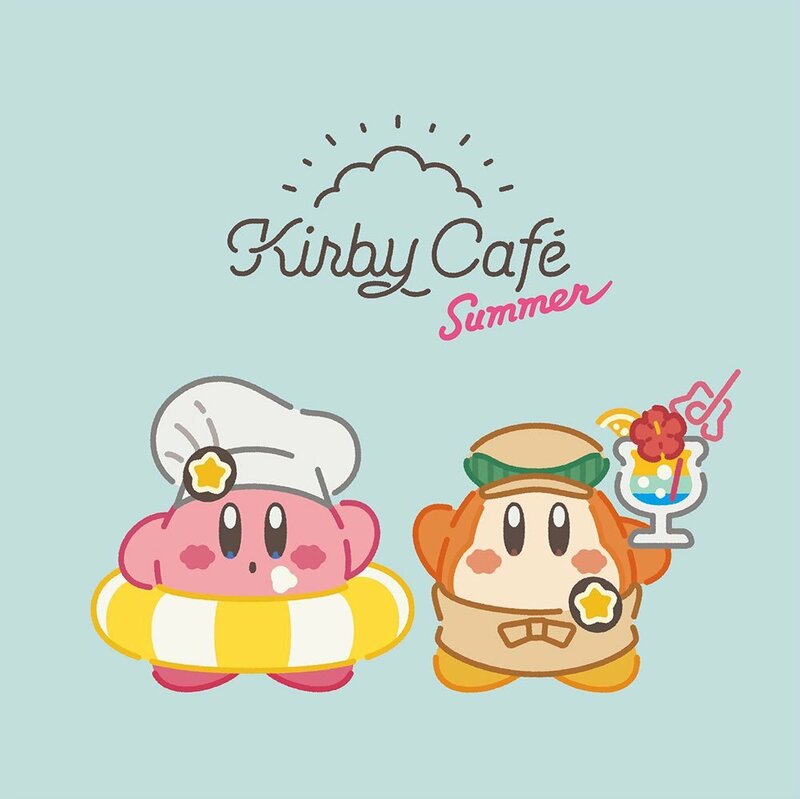 With the Summer extension, the Kirby Cafe is going to get some new limited-time menu items, as well as new products to go along with the Summer theme. Hit my lights, it's time to dance! More Kirby merch is on the way, with two new items revealed today. 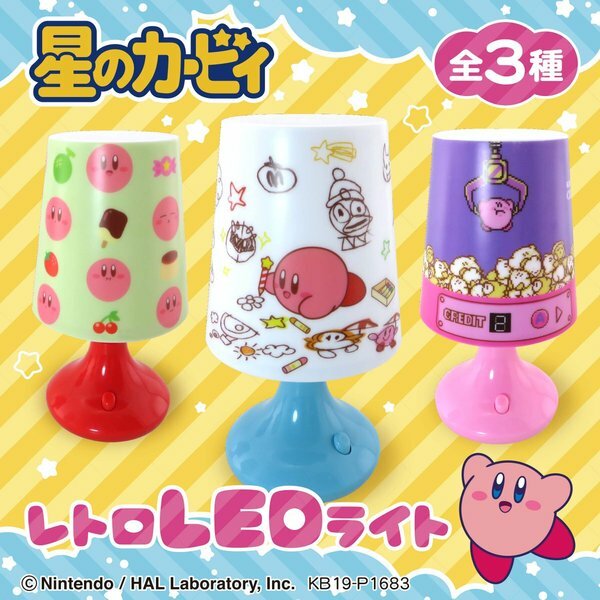 First up is the Kirby Retro Lamp series from Max Limited. These lamps will be available via claw machines in Japan starting the third week of Japan. That's the only way to get them that we know of! Next up, Osute has revealed their Side Step Kirby plush. This is no normal plush, as it dances to two different types of music whenever someone touches its head! 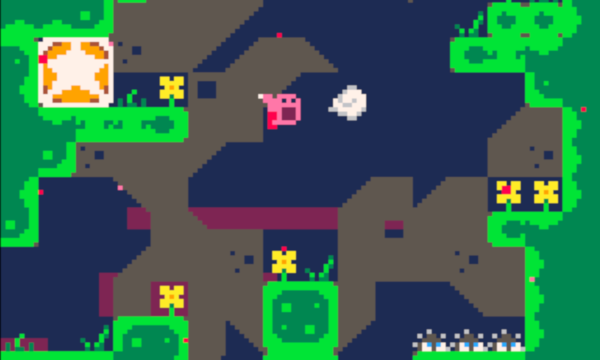 The songs included should be very familiar to Kirby fans, as they are Green Greens (Game Boy ver.) and Victory Dance music (Famicom/NES ver.). 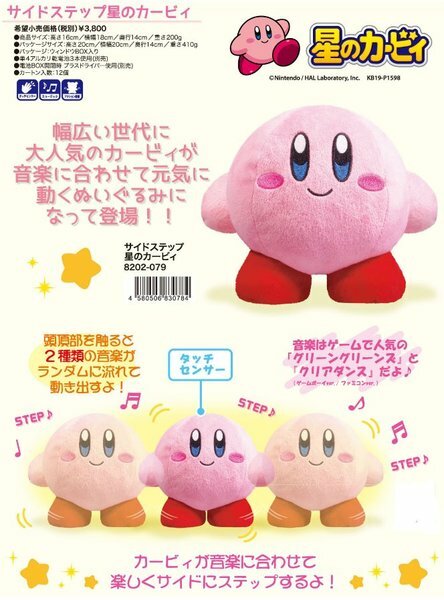 The Side Step Kirby plush is due out sometime this month in Japan. Famitsu just wrapped their Famitsu Award 2018 event, where they dish out all sorts of awards to games from the previous year. Nintendo actually took home quite a few awards for their titles. Check out the list of Nintendo-related winners below, as well as a live-stream recording of the full event. - Octopath Traveler//Super Smash Bros. Ultimate/Dragon Quest Builders 2/Pokémon Let’s Go!